Today we want to let you know about some key reforms that happened last weekend. California legislators approved a budget deal that has both positive and negative effects on people in reentry and the criminal justice system. While the legislature allocated millions of dollars to prison expansion, which we find dismaying, it also allocated millions of dollars to reentry programs and lifted the drug felony ban for CalFresh (food stamps) and CalWorks — big wins for people in reentry! The changes to CalWorks and CalFresh eligibility mean that many more families in need will have a safety net that keeps them out of extreme poverty. Here’s some background to clarify what this change means: CalWorks is a statewide program that assists low-income families with short-term cash aid to supplement them with basic necessities such as housing, food, and utilities. 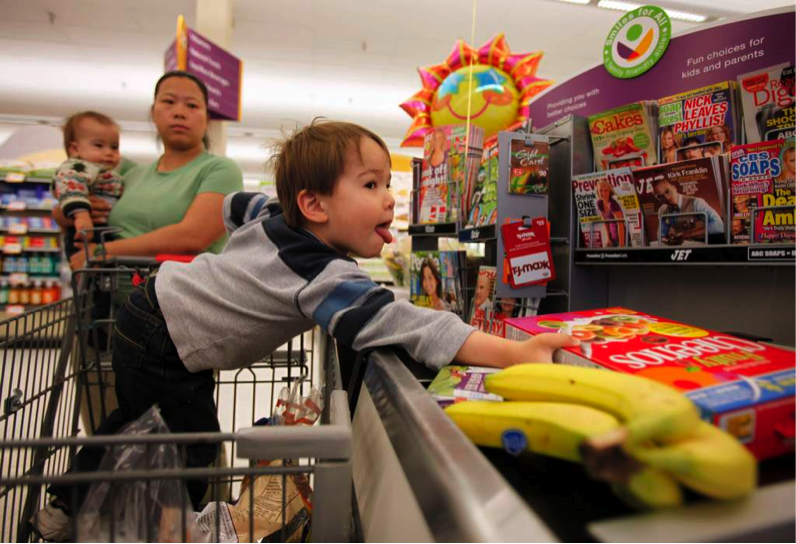 CalFresh, known as the Food Stamp Program, assists individuals with electronic benefits that are allotted towards food purchases. Under federal law, anyone with a drug felony conviction can be denied access to public benefits such as CalWorks or CalFresh. Each state, however, can either opt out of this ban, OR impose their own harsher conditions. Today, California has in place a lifetime ban for people with a drug conviction that involved the sale or manufacture of drugs. For everyone else with a drug conviction who did not sell or manufacture, they can enroll in a drug treatment program in order to be eligible for CalWorks and CalFresh. Under this new proposed law, California will stop excluding certain groups from vital benefits that can help them move forward with their lives. The new budget also set forth some promising reforms and investments in reentry: $8 million was allocated to community based organizations for reentry services, $2.5 million to community based organizations for in-custody programming that support reentry, and $2 million to programs that expand access to licenses and official I.D.’s for people on parole. In addition, the proposed law includes statements recognizing that public support for services – including transitional housing, mental health, and substance abuse treatment – can make a huge difference in allowing people to reintegrate successfully into their communities, reduce recidivism and promote public safety. The proposed law notes that support for these services has been shown to achieve these goals in other states, and that now is the time for California to invest in what works. Specifically, under the proposed law, the state “may” (subject to funding) attempt to provide these services to people released under Prop. 36 who are not subject to parole or post-release community supervision. Although the law is vague on the details of how this will work, the basic intention is a sign of progress. It’s certainly refreshing to see the state moving toward a supportive reentry process, investing in programs that can create sustainable change. All in all, the budget deal, although still awaiting Governor Brown’s approval, brings a mix of pros and cons for currently and formerly incarcerated people, and for our state as a whole. While some money is being devoted to supportive services, it certainly is not enough—especially compared to how much the state is spending on prison and jail expansion. Next year, we hope to see more robust spending on building a larger safety net that ensures healthier outcomes for at-risk youth and reentering citizens. We believe it is important to spend in these areas rather than growing the facilities that often increase violence, anti-social behavior, and mental illness beyond what is necessary to ensure the health, safety, and well-being of the currently incarcerated. The proposed lift on the ban for CalWorks and CalFresh are enormous victories, though, that we wanted to celebrate here on the blog! This change will have huge positive effects on the lives of so many individuals and families across the state. Root & Rebound, a reentry advocacy nonprofit in Berkeley, CA, is looking for help with our Reentry Services Directory project. We’re building a team of energetic and dedicated volunteers to complete this important project by the end of this summer. The Project: We’re creating two resources: (1) a user-friendly reentry guide for people returning from jail/prison to Alameda County (print and PDF), (2) a referral database of services and programs, to be used by advocates and case managers who work with reentering people in Alameda County. The Process: So far, we’ve collected a list of local services and programs. We’re now contacting these places and collecting information that will go in our reentry guide and database. In doing so, we’re also connecting with local organizations that we can partner with in future. Volunteers will reach out to organizations, send and collect surveys, and possibly help to draft and finalize our reentry guide. The Purpose: This project is part of Root & Rebound’s mission to make reentry seamless and constructive for all – by ensuring that reentering people can access all the resources they need to thrive succeed in the community. If you’d like to join our team, please contact our Project Manager, Olivia Cahue-Diaz, at ocahuediaz@rootandrebound.org! In your email, be sure to include information about your relevant skills, experience, interests, and time availability this summer. Classroom photo from Defy Ventures: defyventures.org. We’ve written before about our support for “Ban the Box” campaigns, which seek to implement a robust set of fair hiring policies to ease employment barriers for people with criminal records. While these campaigns and resulting legislation are an important step in improving employment outcomes for reentering people, only twelve states so far have adopted ban the box legislation. Furthermore, the resulting legislation is often limited. For example, in states like California, only government employers are prohibited from inquiring about criminal convictions on job applications. Ban the Box does not apply to private employers across the state of California, limiting the power of the legislation (side note: a few counties like San Francisco have passed Ban the Box legislation that applies to private employers with a certain number of employees in their counties—but the statewide Ban the Box does not). Therefore, as we have written about many times here, in the vast majority of states and cities around the country, formerly incarcerated people who where the “scarlet letter” of a conviction find it extremely difficult to find an employer willing to hire them, no matter how motivated and able they are. To get around the enormous barrier of discriminatory hiring practices, reentry advocates are increasingly turning to creative solutions. More and more grassroots programs and leaders in the private sector around the country are helping currently incarcerated and reentering people make a living by teaching them the entrepreneurial skills needed to start their own businesses. When individuals in reentry are empowered to start their own businesses, they are no longer be at the mercy of discriminatory hiring practices that can prevent them from every reentering the workforce. After serving four years in prison for robbery, A.J. Ware started his own painting business in order to avoid an employer’s criminal background check. Now, he runs a nonprofit in North Carolina, Inmates to Entrepreneurs, which teaches reentering people to start their own small businesses with little to no start-up money. Chris Wilson, cultivated his entrepreneurial skills while incarcerated in Maryland. He and a friend, who were both incarcerated, took pictures of fellow incarcerated people and their families on visitation days, and raised $40,000 in an effort to increase the Inmate Welfare Fund. Since his release in 2012, Wilson has started two Baltimore businesses that seek to employ formerly incarcerated people. Wilson also encourages reentering people to start their own businesses through a series of workshops he calls the Barclay Business School. Defy Ventures is a New York nonprofit that runs an entrepreneurial training and mentorship program for reentering citizens. Defy Ventures pairs people with criminal records with entrepreneurs in the community who guide them through the start-up process. In addition to providing training and mentorship, the program also hosts competitions for seed money for students to make their business proposals a reality. In California, The Last Mile is a prison program at San Quentin State Prison that teaches incarcerated people entrepreneurial skills. At the completion of the program, students pitch business plans to successful entrepreneurs from local companies. Since the program’s launch in 2011, all six alumni who have been released are employed. One Last Mile student, Tulio Cardozo, launched a consulting platform that operates like a LinkedIn for incarcerated and reentering people seeking employment. 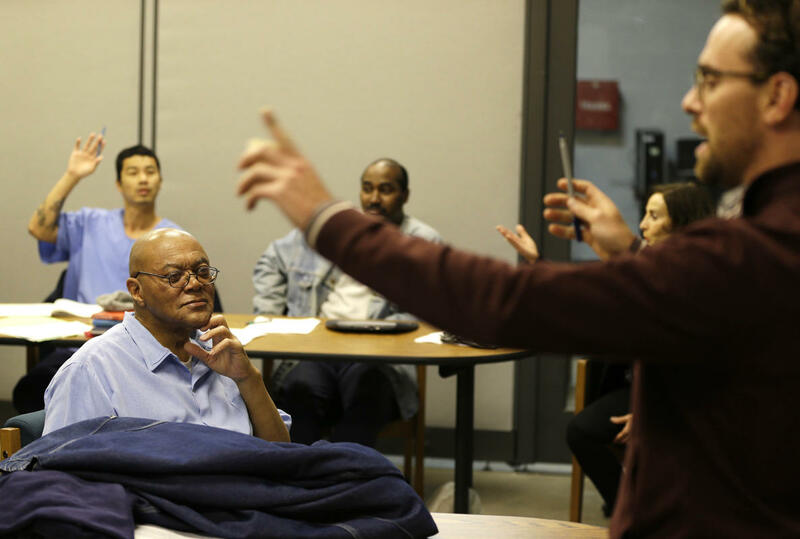 Project REMADE at Stanford University is an entrepreneurship training program for formerly incarcerated individuals that teaches basic business principles and provides mentorship support. Mentors from Stanford and the Palo Alto community provide guidance on every aspect of business planning including defining the scope of the business, identifying the target market, brand management, vendor selection, and financial statement projections. The program culminates in an Annual Business Plan Presentation Event, where a panel of executives from local microdevelopment organizations provides feedback on the participants’ written plans and oral presentations. We wanted to highlight this work because, while it is important to work toward a world where criminal records do not create enormous barriers for reentering people, these programs are expanding the power that reentering people have NOW to change their lives for the better. We are so happy to see these programs grow in number and size across the country! Today we want to talk about housing. Stable housing is a huge need for people in reentry: for many, the private sector is not an option and they also may face legal restrictions from staying with friends and family in Section 8 Housing. Faced with such great obstacles, many look for transitional housing upon their release. Demand is always much higher than the number of beds that are available, leaving individuals incredibly vulnerable in their first few days and months back in the community. Case in point: A New York Times article released this week, showed that every year approximately 72,000 people are released from prison in the state of Texas, yet only 1,800 are allocated beds in subsidizing housing, mostly in the form of halfway houses that have contracts with the state. Because of the overwhelming need for housing for most individuals being released from incarceration, priority often goes to those who either require close supervision or for those who lack the necessary familial and community resources to get by on their own. But there are so many people being released into the community with absolutely minimal support facing seemingly impossible barriers as a result of collateral consequences! They lack a meaningful second chance to improve their lives and to become productive fulfilled members of their communities. And while halfway houses pose a viable option for those seeking a supportive transition back into society, the opportunity often comes with a costly price tag. 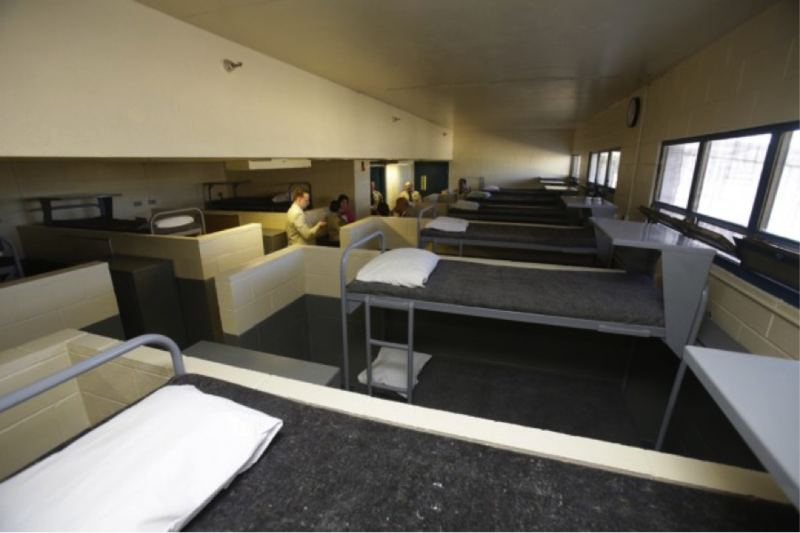 Hand Up, a for-profit halfway house founded by a formerly incarcerated individual, Mark Fronckiewicz and his wife, mentions how the $550 monthly cost for rent and utilities creates the largest barrier for those who seek this type of environment. Most people reintegrating back into their communities after incarceration simply can’t afford such high living expenses, especially with the challenge of finding and holding down a job when you have a criminal conviction. Hand Up proves to be more holistic and thorough in its approach, most likely because it was run by someone who has been the struggles of reentry themselves. One resident spoke to the meaningful guidance he received from Mr. Fronckiewicz when it came to preparing a resume that helped him land a construction job. With fewer restrictions than most halfway houses, Hand Up residents find it more accommodating in their process of searching for employment and transitioning from life outside of prison. However, a lack of funding and the passing of the founder mean that the work is difficult to carry on. Halfway houses can provide a stable environment for individuals who will otherwise lack a setting in which they can thrive. If such a setting creates such positive outcomes in the reentry process for those who are being released from incarceration, it is worth examining to see how these types of successes can be reproduced and made more accessible for people returning to society after incarceration. ROOT & REBOUND SEEKS PART TIME FALL CLERK! ROOT & REBOUND IS HIRING! Seeking a part-time Fall Law Clerk as a wonderful addition to the R&R Team. Please feel free to share widely and with your networks. Find the job announcement here: http://tinyurl.com/oszywpz. Root & Rebound is a Reentry Advocacy Center dedicated to improving the lives of reentering citizens and maximizing their opportunities for success in the community. Root & Rebound provides a range of programs and services for individuals and communities through direct legal and social services, legal education, centralizing reentry resources, and policy advocacy. Founded in October of 2013, Root & Rebound is focused on bringing an innovative and creative approach to solving the current crises in reentry in the Bay Area, in California, and beyond. Commitment: Part-time (minimum 10 hours/week) from August – December 2014. Position Description: The Law Clerk will work under the supervision of Root & Rebound’s two staff attorneys and will be tasked with legal research and writing, assisting with client cases, legal trainings, and helping to build a referral database. Legal research and writing for Root & Rebound’s “Know Your Rights in California Reentry” manual. Helping staff develop Root & Rebound’s “Know Your Rights” legal trainings in the community and, perhaps, assisting with those trainings. Assisting with direct legal services and client cases, including intakes, legal research and memo writing, and follow-up with clients. Contributing to Root & Rebound’s Bay Area referral database of community-based organizations, government agencies, and partners. Writing blog posts on legal issues in criminal justice and reentry. Researching upcoming relevant criminal justice legislation. Any other necessary duties that fall into Root & Rebound’s legal programs: direct legal services, legal training and education in the community, and policy advocacy. Currently in law school or recent law school graduate. Previous experience working directly with clients in a legal clinic setting. Strong attention to detail and meticulous follow-up. A high level of dependability and the ability to maintain a consistent schedule. The ideal candidate will have access to outside funding or school credit through his/her law school or other fellowship program for nonprofit work. If a strong candidate has no access to funding sources for nonprofit work, other options may be explored. To apply for this position, please send a resume, cover letter, short sample of legal writing (4 pages max. ), and at least two references with contact information in an email to Katherine Katcher (Executive Director) at kkatcher@rootandrebound.org. Resumes without a cover letter, writing sample, and references will not be reviewed. No fax or mail applications and no phone calls, please. Decisions will be made on a rolling basis; applications must be submitted by July 31, 2014. 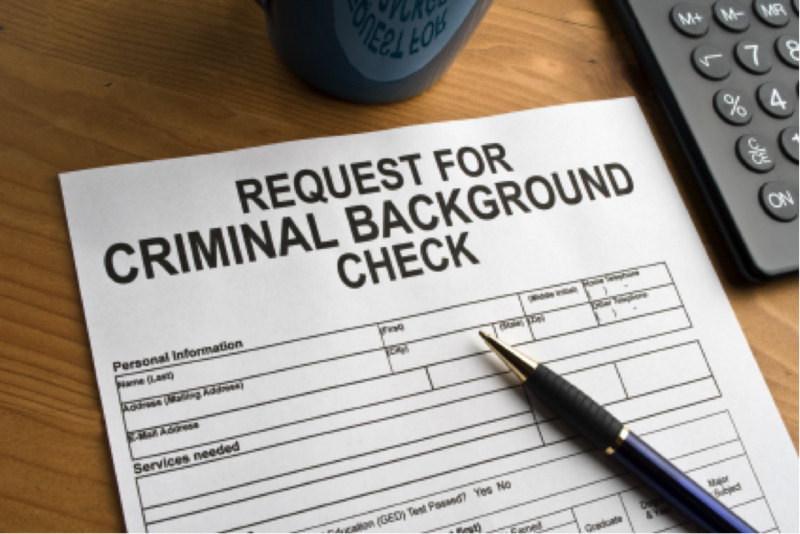 A recent report by the National Association of Criminal Defense Lawyers found that a staggering number of people have a criminal record in the United States: approximately 65 million people – that’s more than 1 in 4 adults! Many of these individuals have been incarcerated to pay their debt to society, but what is most disturbing is that even after people have served their time – their punishment lingers beyond the bars and seeps into even the most fundamental aspects involved with their day-to-day lives. ‘One in four’ people will face countless discriminatory barriers because of the collateral consequences of their criminal record. Collateral consequences include the many laws in this country that make it extremely difficult for a person with a criminal record to become a full participant in the most crucial aspects of society. Some of the barriers that are imposed on people with criminal records include restricting access to: employment, housing, public benefits, education, credit and loans, legal immigration status, voting in elections, and parental rights. Collateral consequences are often justified by the desire to improve public safety — and public safety is something we all want and care deeply about — but in reality, there is a lack of evidence that such laws actually make us safer. If a person is left without the vital resources to survive and exist as a full member of society, it can be impossible for them to successfully contribute back to society and provide for themselves and their families. The report by the NACDL suggests ways for reforming collateral consequences so that such laws do not continue to unnecessarily deprive millions of people from living healthy and productive lives. The report recommendeds that as a nation, we must work to reduce the stigmatization of people who have fulfilled the term of their sentence. This is definitely a step in the right direction! Other points touched upon the importance of enforcing only those laws and collateral consequences which are proven through evidence-based practices to successfully improve public safety. The report also mentioned the opportunity of restoring the rights of those who have been convicted, but who have completed their sentence, rather than continuously having to carry the burden of their criminal record throughout their entire life. This would make a powerful difference! With the overwhelming rate of mass incarceration in our country over recent decades, our odds of encountering or knowing someone involved in the criminal justice system is incredibly high. One in four people have a criminal record. We must change our outlook on crime and recognize the value of each individual–especially those who have overcome their past experiences and succeeded. As a nation, we must work to reduce collateral consequences to help improve the lives and opportunities for all people with criminal records, which improves society as a whole.